The more time I spend with some of the top services account leads for providers, the more impressed I become with how some of them manage incredibly complex client relationships, which only seem to be getting even more complex in today's climes. Phil Fersht, HfS: Carole, it’s great to have you on our interview docket today. You’ve been in the BPO industry for quite some years now and are very hands-on with several clients I know. Would you give us a little more color on your background and how you've found yourself so involved int he BPO industry? 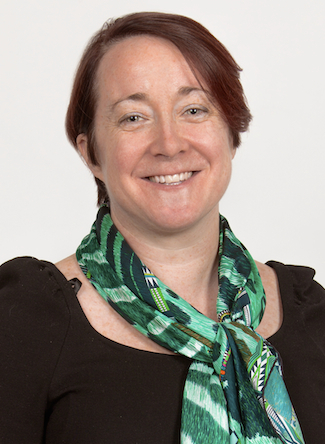 Carole Murphy, Capgemini: Like many of us in Capgemini BPO, I started off as an accountant. I worked for British Steel and for Kraft Foods, and in about 1996 I joined what was then Ernst & Young Consulting because I was really interested in finance and accounting and transformation. Finance transformation has been the core of my career since then. Five or six years ago I started exploring how we could use Capgemini BPO’s assets to best help our clients to transform, delving deeply into how transformation really works and how we could bring more impactful transformation to our clients. 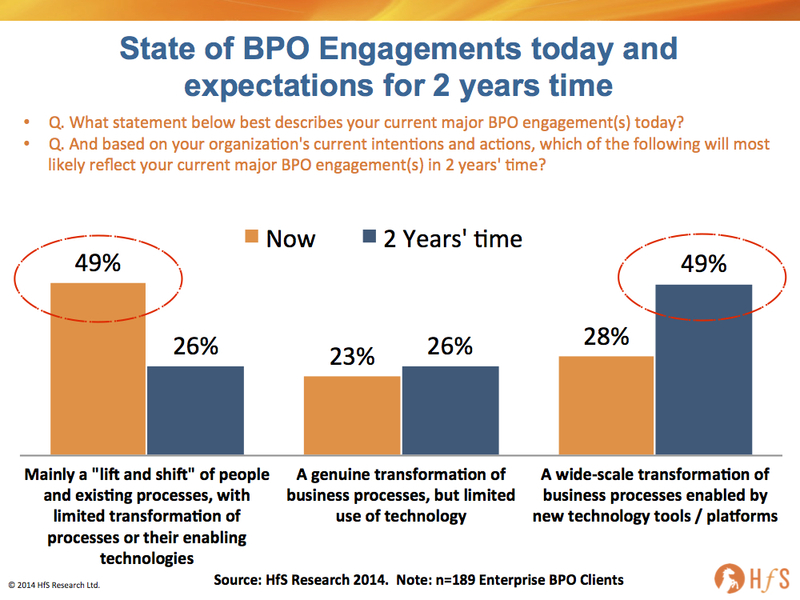 As time went on, I got increasingly interested in how BPO delivers the promise of transformation. I think there’s something quite exciting about the BPO industry in that you’re able to help clients not only make transformation happen, but also sustain that transformation because it’s part of what we do every day. Phil: We've had countless discussions over the years about how clients can achieve operational results with BPO and meeting their core performance metrics. Suddenly, many buyers we speak with expect transformation, and if a provider can’t bring that to the table, it’s not going to last very long. Do you feel that client expectations are a lot higher than they were three or four years ago? Carole: I’m finding it surprising that some clients’ expectations of what a BPO can deliver is still limited to the simple lift and shift, or just transactional activities, or the impression that ‘surely the only thing a BPO provider can help you with is cost takeout’. On the other side of the seesaw, there are clients who see huge amounts of value from BPO transformation and expect more than cost savings. They’re able to obtain great value by working with their provider to look at not only how to solve their immediate problem, but also how the provider can address their top line agenda of growth, help them achieve profitability, help them with their control agenda, help improve their reputation in the market, or address their working capital agenda through improved collections. I think one of the things that is really changing is providers’ ability to deliver transformation. They’re investing not just in a global delivery network or IP or global process models, but also in technology and in good people who can drive the next wave of transformation. Phil: Carole, we’ve been hearing the term virtual company being bandied around a bit, I think it’s coming out of Capgemini. Would you explain it to us, and how this applies to businesses today? Carole: The virtual company is a Capgemini term, Phil. It actually came from a ‘co-creation’ program on BPO-driven innovation that we have between Capgemini University students and our clients. One of our clients was looking to accelerate how they would bring new crop protection and new seed projects to market. But sometimes within the confines of a large organization, it’s hard to take an idea from the page to the field. So the idea that we came up with was to use emerging cloud technologies to create micro environments that would sit outside the core operating environment of the company, whereby more attention would be given to those emerging projects or emerging markets without necessarily putting in the same cost burden. We could maintain control, but also get better insights from what was happening in terms of market response to a product, or in terms of the make-up and profitability. So the idea we came up with was that you could actually create within the larger enterprise a virtual company, and that virtual company would be where you might have new innovations. The virtual company has become a solution that Capgemini offers, and we typically look for clients that are involved in some form of either a new market entry or a small market where you aren’t necessarily going to invest in a complete back-office, but need more flexibility. So the virtual company will basically run the back-office for you from a people, technology and process standpoint, and also supplies the analytics that will help you understand how that new product or new market differentiates itself. Phil: Is this something you are bringing to existing clients, and getting them to evolve into that model, or are you pushing this now a lot more at new logos? Carole: A bit of both Phil. To a certain extent it probably starts to address some challenges existing clients may have with small markets, where they don’t necessarily want to invest in a standardization agenda but would like to improve the control, efficiency and effectiveness of accounting for small markets. We also potentially see it with new clients where there’s a divestiture or an M&A happening. Those are situations that traditionally require quite a lot of oversight and insight to start understanding how these two companies come together. And that’s where I think these platforms can be faster to build, and add a little more flexibility within them. Hence, they’re ideal for disruptive situations where innovation is required. Phil: And you’ve struck up a partnership with NetSuite as well, which is particularly tied to this whole virtual company concept, right? Carole: Absolutely. When we came up with the concept of the virtual company, we evaluated different solutions and found that we could incorporate solutions around NetSuite. The idea of the virtual company was also making sure that at any moment we are leveraging the different technologies out there that might be able to take a more agile approach as we’re building the solution…so a pilot solution where we would use the Capgemini Global Process Model and other elements of our Global Enterprise Model to make sure we have the right consideration of people, technologies and processes to support the virtual company, but would accelerate the design and build phases. NetSuite is the core platform we use. And we would potentially explore WebCollect, for instance, if there’s a strong focus on collections and collections strategies, or IBX if there’s a strong component of indirect procurement that has to happen to support that client. Phil: So, when an F&A system is in the cloud, how is that impacting the BPO? Is it really bringing dramatic improvement, in terms of the client's ability to get better data faster, to be more flexible and agile? What are you seeing from a BPO standpoint when the cloud is introduced into a relationship? Carole: Cloud technologies usually have a better user interface that can make adoption easier, as compared to the more traditional integrated ERPs that have long configuration and training times. The accessibility of data can be quite powerful from a control sense. If you look at something like a cloud-based Trintech tool, whereby clients can actually see and understand what’s happening across their balance sheet at any time, I think that also helps usability and transparency control, and allows quicker movement. So faster implementation, easier adoption and better communication of results and control. Phil: How does it impact the provider? Does it mean that you’re focusing on providing more services in areas like analytics and FP&A, and higher level support for clients than just doing a lot of transactional work? Do you find that it’s almost changing the game to more of a high-level value proposition in general? Carole: I think that’s happening, particularly in and around analytics as a lot of the emerging technologies make integration with traditional systems easier. The real value of analytics for providers is in identifying the actions we can take to link back to the original outcome that the client is looking for. Collections is a good example of that. You can look at the data to identify a customer who’s paying late, and then quickly take action to contact that customer to understand why he or she isn’t paying on time, and actually take some of the barriers to paying out of the way. I think providers tend to be very pragmatic in using data to drive outcomes for their clients to take actions. Carole: I think that the virtual company is an adjunct that fits alongside an ERP. While everyone has their issues with ERPs, they do integrate the data. Many years ago, I worked in an organization that almost had a different building for each ledger, so you would walk from the purchase ledger building to the stock ledger building to find out what had happened. The value from the ERP is the data integration, and the value of emerging technologies is that they can make it easier and more cost effective to access and use that data. Phil: One final question. You’re appointed the "Queen of BPO" for one week. What would you change in the industry? Carole: I think the overall BPO industry should have the mindset that we are professional providers of transformation services. Clients and advisors need this mindset so they can recognize they should be looking for a partner that is an expert, and they should respect that partner as an expert. And providers have to be ready, willing and able to be that expert to drive transformation for their clients. And what about you Phil? If you were King of BPO for a week, what would you change? Phil: Thanks for turning the tables and putting me on the spot! I’d like to see less focus on the deal, and more on the relationship. I think providers are too frequently strong armed into saying what they need to win a deal, as opposed to being able to structure something that works for both sides with specific milestones and balanced delivery expectations. Another thing I think is really important is around the profession of services and sourcing governance. I think we’re still in a situation where most corporate staff have little knowledge or understanding of what services and outsourcing governance is, what we do and why we matter. And I think it would be really helpful if companies started putting a Chief Services Officer in play (or a Chief Transformation Officer), who can really start to manage this and build more of a professional career focus around our industry. I feel we’re still a bit of an anomaly, as opposed to something that should now be a mainstream career path for people. So I’d like to see us as an industry develop better career paths with clear outcomes and objectives that staff can get excited about. Carole: I agree. We are an emerging professional services industry, and we do need to focus on what helps people develop and what attracts and keeps people in our industry, because it’s an exciting place to be. Phil: Yes. And on the buy-side, people seem to either get out – this is a nightmare! – or start to really effect a change that needs to be made and develop really interesting transformative roles for themselves. I think we need to see more of the latter and less of the former. And I think that’s happening, but it has been painful and has taken a long time for the clients as they’ve gotten used to this. Thank you Carole for your time today - it's been great hearing about your focus and and views on the BPO business. Fascinating interview Phil and Carole. Absolutely agree that BPaaS and your virtual company idea is on the mark. Commercializing likely remains a challenge in near term, but this is the direction that BPO industry needs to pursue. A really good interview that reflects the very old saying - for every complex problem there is a very simple solution, unfortunately though, it is usually wrong. To many organisations and suppliers believe that simply outsourcing/offshoring a problem will make it go away and those customers and suppliers are now seeing the problems coming home to roost. As rightly mentioned by Carole, as an industry we need to propagate that we're professional service providers and transformation agents rather than mere process support organisations.